Levels of toxic arsenic above health guidelines have been found in a small group of people. The study by Manchester University and the British Geological Survey surveyed people in Cornwall who drank from private water supplies. Long-term exposure to arsenic in drinking water can cause cancer among other health risks, according to the World Health Organization (WHO). Cornwall Council confirmed it was responsible for regulating supplies. 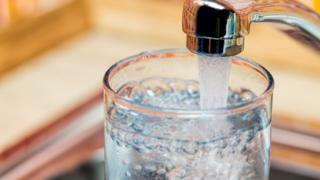 A private water supply is one not provided by a water company and can present a risk to health due to the quality of the water, according to the government. Out of the 127 people whose urine was tested, about 20 people had levels of arsenic in their water supply above the 10 parts per billion (PBB) threshold recommended by the WHO. One volunteer was found to have 20 times this amount in their private water supply. "If it was my family, I wouldn't want them to routinely drink water from the tap with anything even close to 10 PPB, let alone 50 PPB or 100 PPB", Prof David Polya, who worked on the paper, said. He said research at the University of California, Berkeley had found that drinking water with arsenic concentration above 50 PBB for 20 to 30 years had an equivalent health risk to passive smoking. However, he emphasised that the study looked at a small sample, and said the health risks were associated with long-term exposure. A previous study by the British Geological Survey in collaboration with the then Health Protection Agency found 5% of the 497 properties surveyed in Cornwall with private water supplies had arsenic concentration levels above the WHO guidelines. Cornwall's geology is rich in high arsenic rocks, which has contributed to the high arsenic concentrations.